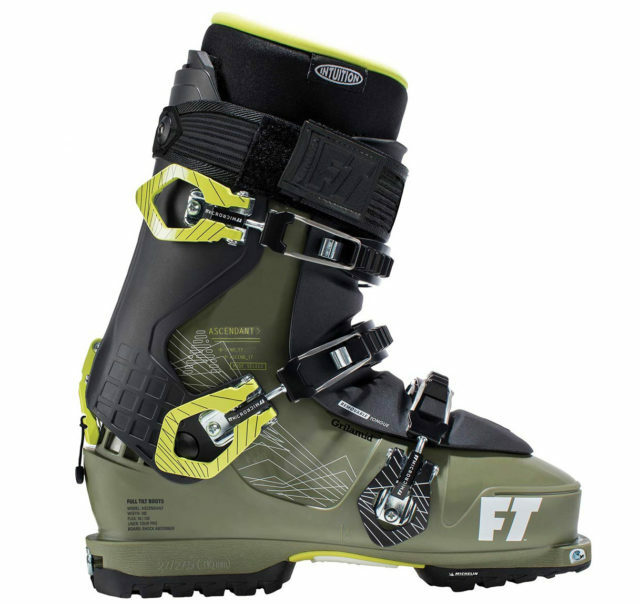 It seems like every season for the last three or four years we’ve heard rumors of a touring boot from Full Tilt. Last year, pictures of a banana-colored prototype made the rounds of the internet. Then this year at SIA, Full Tilt finally introduced their tech touring boot, the Ascendant, which will be available for the 18/19 season. 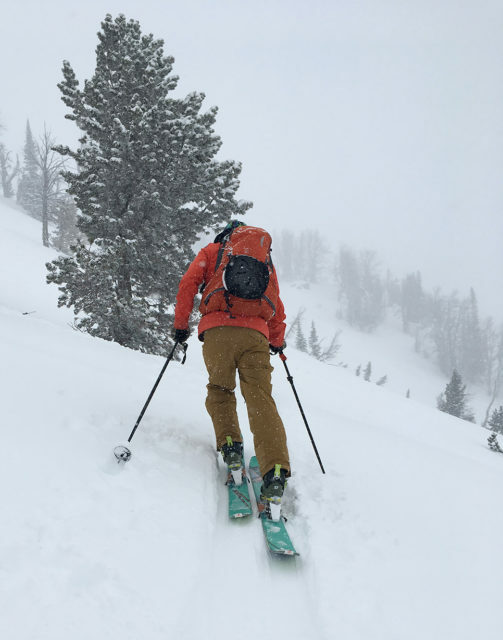 I’ve been skiing and touring in the Ascendant here in the Tetons, and while I only have five days in the boot so far, I’ve been very impressed. So I’ll dive into my first impressions of the boot here, and then flesh out my long-term review after getting more time in these. As we’ve said many times, the best way to make sure any boot will work with your foot is try it on with a good bootfitter. That said, I can provide some generalizations about the fit of the Ascendant. The Ascendant fits exactly like the Full Tilt Descendant. It has a wide forefoot and plenty of room over the instep. People with narrower feet will probably find themselves swimming in the Ascendant, but those with high-volume abominations (like me) will probably breathe a sigh of relief when they slip their feet into the Ascendant and realize they won’t have to stretch the toe box to its outer limit just to achieve some semblance of comfort. There’s something unique in how an overlap liner fits. I’m personally a huge fan — my high arch, high instep, and wide toe area get along with them really well. The custom Intuition liner found in the Ascendant stays true to those trends. It holds my heel snugly, yet does so without cutting off circulation to my toes. The Ascendant features a custom Intuition wrap liner that’s not quite like anything I’ve ever seen. In addition to the flex zone in the back of the boot, it also features a spiraling lace with a quick-closure tab, as well as a velcro shin strap. The flex zone on the Ascendant’s liner is higher than the ones found in most other touring boots I’ve used, and some might complain that it’s higher than the flex zone in their actual ankles, and thus doesn’t help as much as it should. However, I’ve found that it lines up well with the articulation in the boot shell, and it walks significantly better than any other overlap liner I’ve used. The lace and strap system make this liner much more practical in backcountry situations than the traditional Full Tilt overlap liner. It holds my foot better while walking, which should help prevent blisters, and it makes it possible to wear just the liner as a camp bootie. Overall, this is my favorite touring liner I’ve ever used. I’ve longed for a wrap liner with a flex zone, and this one delivers, along with its clever strap and lace system. The Ascendant features the same buckle layout as the Descendant, including the buckle that runs from the ankle pivots. I really like buckles placed here, as I feel like they help with heel hold and don’t restrict too much motion when walking. The version I’m testing doesn’t have any kind of extra wire retention system like those found on most touring boots, but we are told that the production version of the Ascendant will have an extra wire on the buckles for use while touring / walking. Out of the box, the Ascendant comes with tech fittings in the shell of the boot and an ISO 5355 inbounds-style sole, so it’s compatible with alpine bindings, standard tech bindings, and the Marker Kingpin / Fritschi Tecton. That also means it’s a prime candidate for use with the new Salomon / Atomic SHIFT binding. The alpine sole can be swapped out for a rockered rubber, touring-style sole, which Full Tilt says will be included in the box for the production version, though I currently only have the alpine soles. The Ascendant’s walk mode consists of a simple, external lever with a string loop that locks / unlocks the rear flex, and is very similar to the walk mode on Dalbello’s 3-piece touring boots. The Ascendant’s walk mode is easy to use with gloves on, it’s easy to clean if it gets full of snow, it’s simple, and it seems like it should be bomb proof. Out of the box, I was skeptical of the Ascendant’s touring capabilities. It’s a Full Tilt after all, so how well could it tour? But on the skin track, I was pleasantly surprised. With the tongue out (per Full Tilt’s recommendation), the Ascendant walks well, and feels on-par with the Atomic Hawx Ultra XTD 120. There’s a stretchy gaiter over the liner that keeps snow out of the shell, which is nice when walking without the tongue. However, swapping the tongue is an extra step that I don’t really want to deal with on most shorter tours. So, I’ve been experimenting with touring with the tongue still on the boot. When I first got into touring, I actually started out skinning in Full Tilts, using what my friends and I called “Full Tilt Walk Mode.” Basically, I’d open up the tongue, buckle all the buckles underneath the tongue / over the liner, and then wrap the power strap loosely over the tongue to keep it from flapping around. With the Ascendant, I’ve been tightening the lower two buckles under the tongue and over the liner to keep the liner from moving around inside the shell, then leaving the upper buckle undone, and then lightly holding the tongue in place with the power strap. This does cut a bit of the ROM, but I only notice it on very steep, or very flat skin tracks. Otherwise, with this setup the boot has plenty of ROM for most of my objectives, and I don’t have to deal with carrying the tongues around in my pack. On longer tours, the Ascendant’s inbounds heritage does show. It’s not a very light boot, and it does wear me out faster than more traditional, lighter touring boots. But that’s due to its weight, not its walk mode. 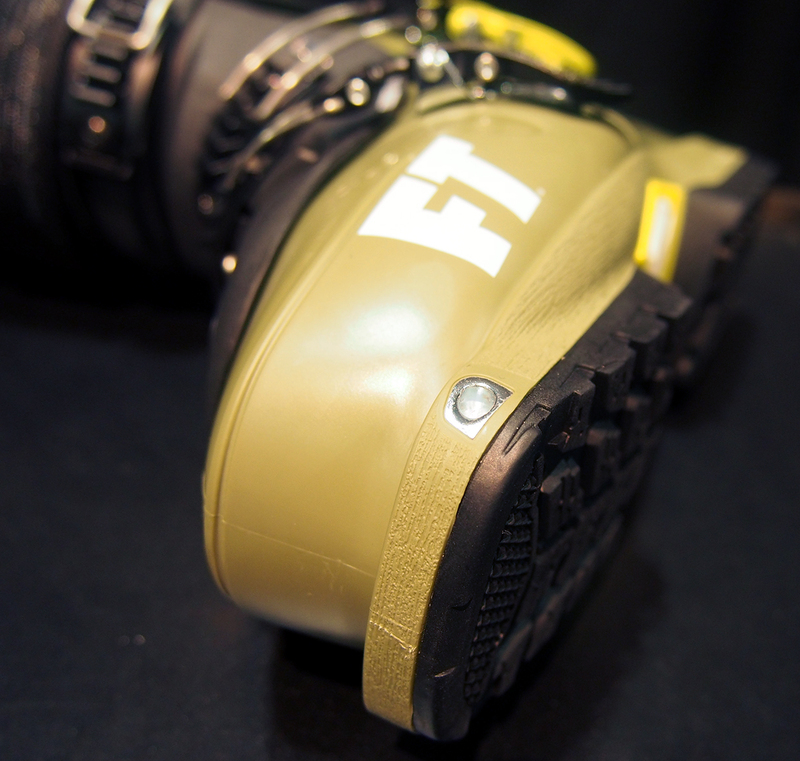 The Ascendant comes with a 10 flex tongue that Full Tilt says equals a 120-flex alpine boot. I’ve usually skied Full Tilts with an 8-flex tongue and a Booster Strap, and this 10-flex tongue definitely feels a little stiffer. However, the flex feels exactly like what I’ve come to expect from Full Tilt. I personally really like the flex pattern of Full Tilt’s 3-piece designs. It never feels harsh, and I don’t find myself flexing through the boot unexpectedly. The Ascendant is completely in line with that trend. 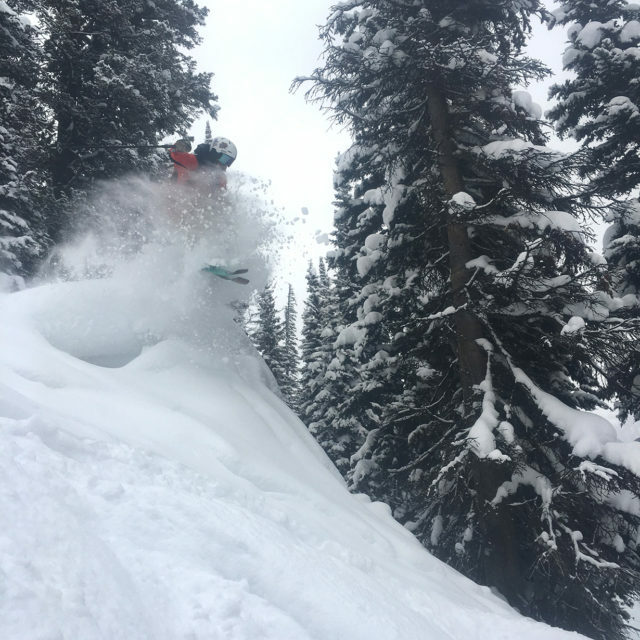 I found myself jibbing and trying new tricks in the backcountry in part because this boot felt so powerful and familiar on the descent. My biggest frustration with the Descendant I reviewed a few years ago was its low cuff. I felt like my shins were getting beat up more, and I was dealing with different pressure points than I did with other boots. The Ascendant still has that lower cuff, but I didn’t notice it quite as much, in part I think because I was skiing better snow. 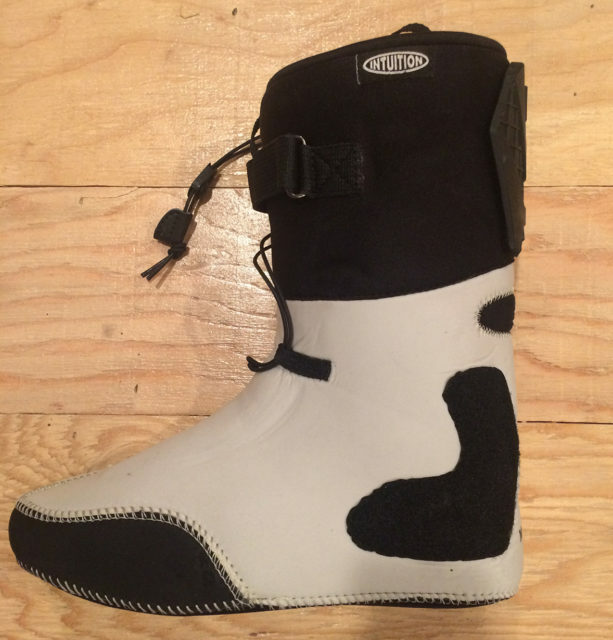 That lower cuff is my one reservation about skiing this boot in bad snow inbounds, and I’ll report back once I’ve done that. The Ascendant is likely too heavy, with too small a ROM to appeal to the backcountry-only crowd. But that’s not its audience. Instead, it hits the 50/50 boot market pretty squarely. It’s not the lightest option out there, and the fiddle factor of the removable tongue may turn off some skiers. But for those who swear by their Full Tilts inbounds and want to tour on tech bindings, the Ascendant is far and away the best option. It walks remarkably well (especially given the brands inbounds-only heritage), and it skis every bit as well as its inbounds relatives.. So if you worship the Raichle Legacy but want to earn your turns, take a long look at the Ascendant when it hits shelves next year. Full Tilt’s first foray into touring boots is remarkably functional. While it’s not the lightest 50/50 boot on the market, it does a better job of maintaining its inbounds performance on the descent than most of its competitors. We’re excited to get more time on it, and to compare it to the current crop of 50/50 boots out there. What is the forward lean on those boots ? How upright are they ? Old (fluro green) Dalbello Lupo TI has a wrap liner with flex zone and lace up system, it’s great. Shame Dalbello have killed the wrap liner in their new Lupo lines. Hopefully this liner will be sold by intuition individually at some point. It’s a matter of fit for me (as should be) whether I go with the Ascendant, Lupo AX125c or Hawx XTD. Just need to find a boot fitter in the NYC area that has them. Tired of unbuckling after every run with my stretched out KR2 Pros. I envy those that can just ski while I’m getting ready with all the snowboarders lol. Looking forward to more info! Inbounds review? Short cuffed? Comparisons to Tecnica Cochise 130 DYN, Lupo AX series etc referencing forward lean, ramp angle, cuff height, and rearward support would be super. Just tried my ascendant with alpine soles is shifts. And they rub while in the pins. Looks like the touring soles will fix this. Hi Ryan , I did a total of 3 hours touring in my ascendant so far with shifts and all works well . Used the Touring soles indeed . How to Full Tilts do when bindings are more centered? Would assume fine.